All-inclusive holidays are the staple British trip abroad. They’re low-budget and hassle-free in the sense that most things are already paid for by the time you arrive. More and more resorts in far-flung destinations like the Caribbean and Central America are offering deals to beach front villas and family resorts for discount prices. When the party season hits the islands of Ibiza and Cyprus, you can find a quieter but no less idyllic holiday spot in nearby Portugal. Home to beautiful coastlines, relaxing resorts and characterful towns, this country’s popularity as a package destination continues to grow. 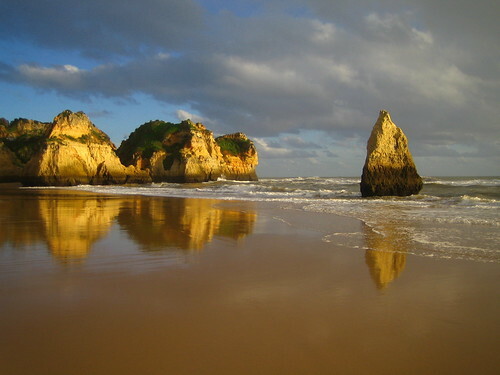 For example, there are plenty of family-oriented lodgings in the southern region of the Algarve, with its award-winning sands and water-sports opportunities. Off the coast, Madeira is popular with the retired community, offering a more peaceful island break and 4 and 5-star hotel deals all year round. Travel a bit further north and you’ll find hillside vineyards for the port-lovers and the ‘Green Coast’ which is a favourite among surfers and scuba-divers. Apartment deals in and around Porto make this a good choice for couples and groups of friends. Mexico is popular worldwide for its stunning coastal scenery, mouthwatering food and exciting nightlife. The most visited spots are Cancun and Acapulco, and it’s in these place that you’ll find the best tourist deals and palm-lined resorts. Isla de Cozumel just off the coast has some fantastic snorkelling waters and the chance to spot exotic marine life like sea turtles and bottle-nose dolphins. Many packages can include trips and activities such as these. For a more relaxed atmosphere, the Baja California Peninsula in the west is home to the twin resorts Cabo San Lucas and Los Cabos, which are popular with the younger crowd. Golf and tennis fans head to the Riveria Maya with its Caribbean coast and close proximity to renowned heritage sites like Chichen Itza. Below the Mediterranean sea, the north coast of Africa has blistering temperatures, ancient cultural sights and crystal clear waters. Egypt can offer the most varied of trips: sunbathe on the beach one day, visit some of the wonders of the ancient world the next. Increasingly, holiday packages to Egypt include river cruises along the Nile, excursions into the desert and tours of the Great Pyramid at Giza itself. Sharm El Sheikh offers world-class diving amongst the famous coral reefs and plentiful spa resorts, while Luxor makes a good spot for the cultured crowd, with its mix of temples, bazaars and Tutankhamun’s Tomb a short distance away. A consistently hot climate makes Egypt popular for holidays and a wise choice for a winter break to take advantage of the value for money. As the current economic climate continues, it’s easier than ever to find an all-inclusive package deal to suit you. Whether it’s the white sands of Mexico, the wonders of Egypt or the wines of Portugal, shop around or travel off-peak and you may be surprised at how much you can get for your money. I’ve also tried a lot of all-in travel packages before and though they don’t differ much from taking piece by piece, it sure drive me away from over spending too much from tips for add on services I ask during my hotel stay.